MTS™ temporary warehouse structures allow you to avoid the ancillary costs associated with renting off-site storage, like lost time and mileage traveling to and from the facility. 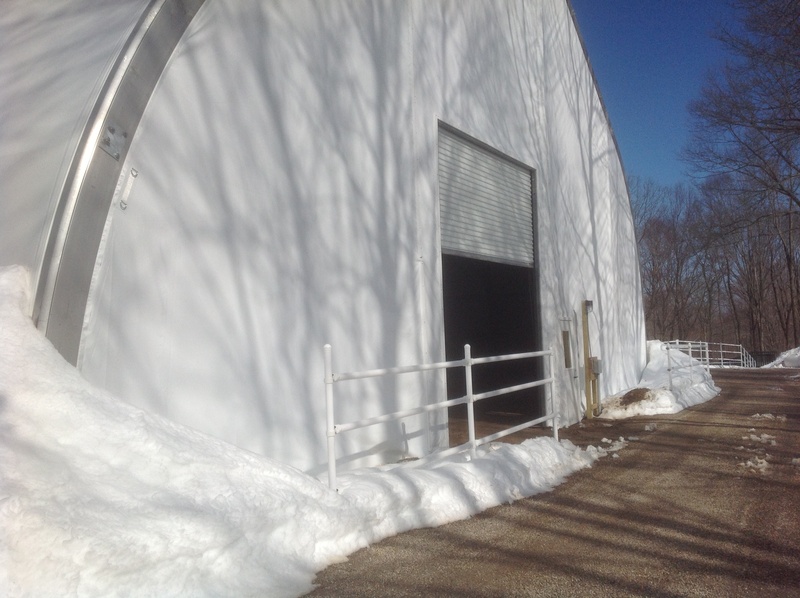 The incredible durability of Mahaffey Tension Series (MTS™) structures makes them ideal for semi-permanent or long-term warehouse needs—including in harsh climates that experience heavy snow and harsh winds. Standard off-the-shelf MTS™ semi-permanent warehouse structures are engineered to withstand winds up to 130 mph and snow loads up to 30 lbs. per sq. foot. The peaked arch profile is designed to shed snow quickly—preventing accumulation that could lead to structure damage or failure. Additionally, MTS™ temporary warehouses can be installed on practically any ground surface in a matter of days. A semi-permanent or long-term warehouse or storage solution of several months or more. A facility that can be fully operational FAST. A structure that is “at home” in harsh winter weather. Flexibility to locate the structure where you need it. 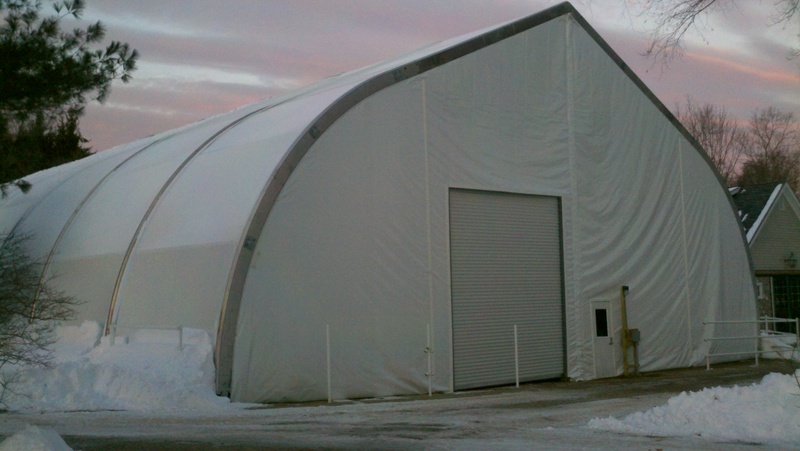 Here are two examples of MTS™ temporary structures in action in harsh winter climates. A client needed a temporary warehouse solution that would remain on site in Minnesota for 11 months during the construction of their new permanent warehouse facility. The structure needed to efficiently shed snow to stand up to Minnesota’s harsh winter weather. Additionally, the structure height needed to allow pallet racks to stack tall to maximize use of every square foot. The final product was approximately 196,280 cu. Feet, with a peak height of 34.58 feet. See the full project, including the CAD drawing for this structure, in our Project Gallery. A client needed a climate-controlled temporary structure that could be installed quickly and withstand North Dakota’s harsh winter conditions—including extreme winds. The final massive structure was installed in -20°F temperatures and measured approximately 26,400 sq. feet. See the full project in our Project Gallery. Our team is ready to help you plan your temporary warehouse solution today. Click here or call to talk with one of our expert project managers, and learn how a Mahaffey temporary warehouse solution can help you maximize profitability on your next project.